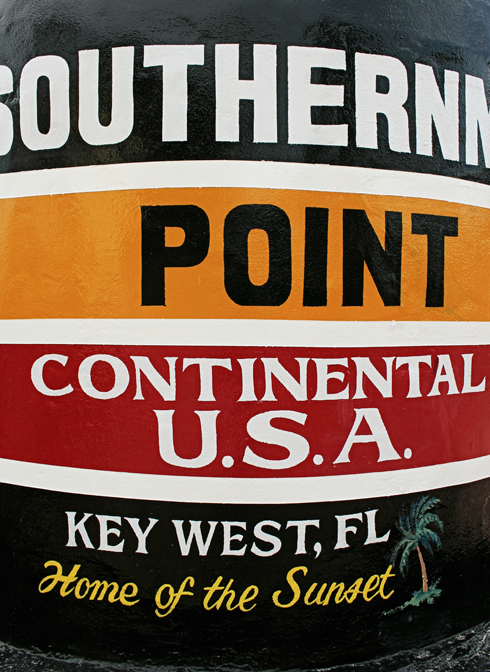 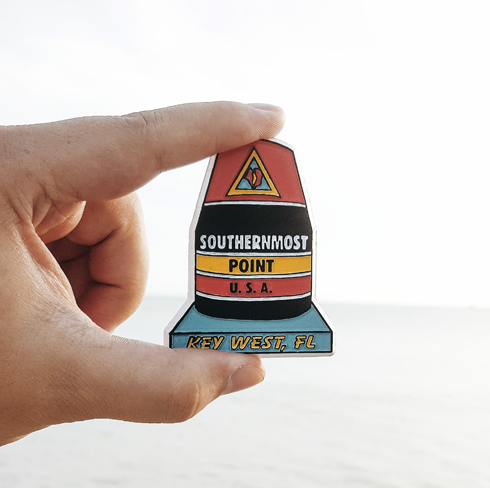 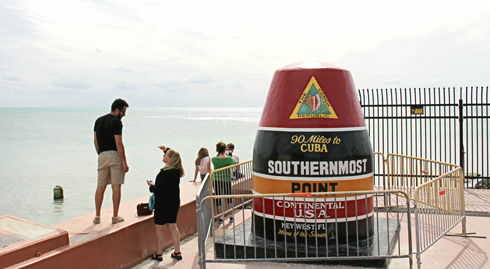 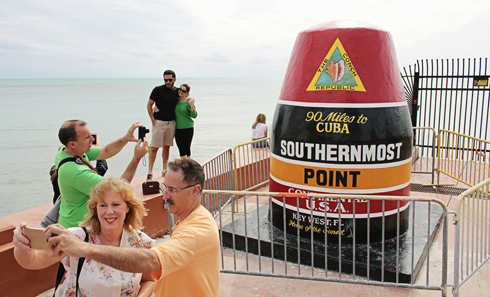 One of the most recognizable landmarks in Key West, Florida is the marker / bouy for the Southernmost Point in the Continental U.S.A. From this point Cuba is only 90 miles away. 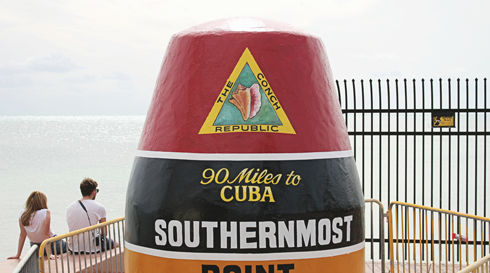 To drive to Key West you have to take the 113 mile Overseas Highway, which links the islands of the Florida Keys. 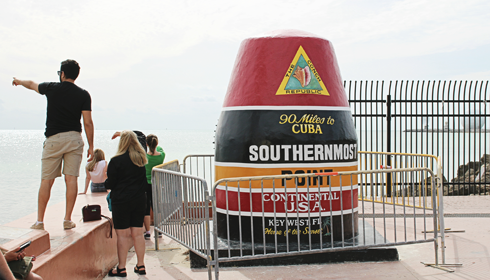 In these pictures you'll notice that the bouy has been fenced off. 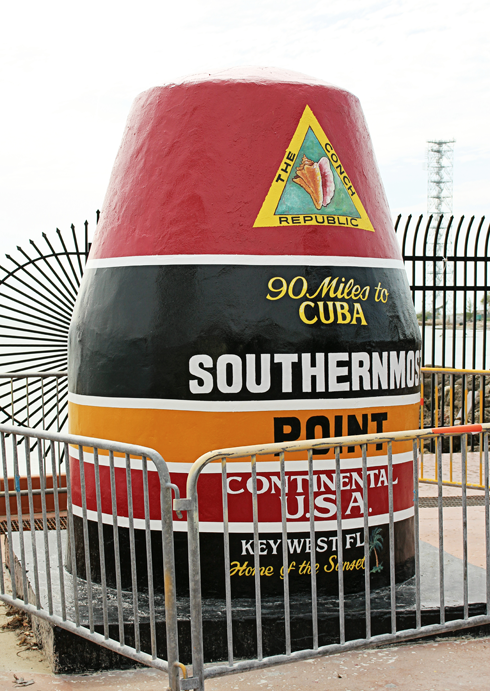 The reason for this was that the 'Southernmost Point' had been repainted the day before I arrived as a result of being damaged during Hurricane Irma. 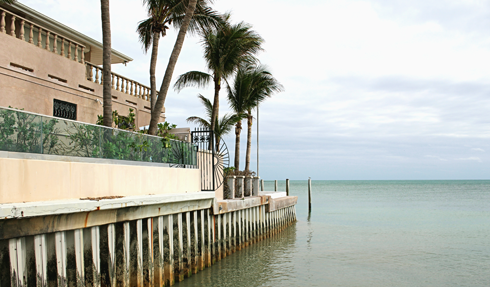 The crashing waves during the storm had actually stripped the paint from the concrete. 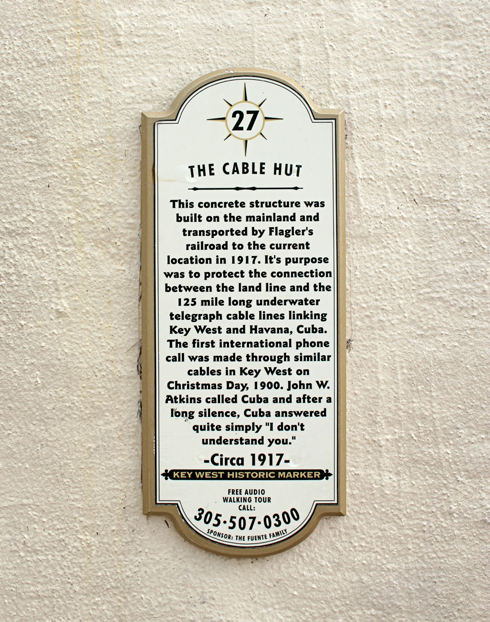 Admittedly, there's really not much to this Key West landmark, but as the crowds of tourists prove, it's still fun to say that you've stood here.